Let’s talk Twitter. 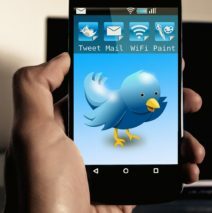 How many of you have Twitter accounts for your business? What about personal accounts? Whether you are a fan or not, Twitter certainly has a place for bumping your Google ranking if you link it to your business. By constantly providing fresh content that is linked to your company name, you are constantly increasing the likelihood that your target market will land on one of your pages when they search for your product. This only works if you are effectively targeting your market, however. Once you’ve set up a Twitter account, you’ll quickly release that 140 characters are not as many as you’d initially think. This restriction makes it a bit of a challenge to release regular content that engages your audience. You can get around this by effectively using hashtags. Simply put they are indexed words that categorize your Tweet according to that particular keyword or phrase. A hashtag is defined by the hashtag symbol (#). 1. You cannot add spaces or punctuation in a hashtag, or it will not work properly. 2. If you Tweet with a hashtag on a public account, anyone who does a search for that hashtag may find your Tweet. 3. We recommend using no more than two hashtags per Tweet as best practice, but you may use as many hashtags in a Tweet as you like. 4. Type a hashtagged keyword in the search bar to discover content and accounts based on your interests. My Twitter account is @Write_Assistant, and I focus on sharing copywriting tips, handmade seller content, and food (because I can and because I love food). Share your Twitter handle in the comments below and tell me what I can expect to find on your feed. Lisa that sounds like a very strange tweet! Who made that request and did they provide you any reasoning? Now that I look closely at the account, hes an internet gamer with a vulgar mouth. I feel safe disregarding the comment. I just wondered if that was an unspoken rule. Not at all, in fact, using trending tags when they are appropriate to your posts are a great way to get new viewers. I’m @myfingersfly. I try to tweet several times a day based on what is trending. I sell crochet patterns and finished items. Do you find your followers tend to engage with you or not so much? Not much, but I’m gaining a few new followers every week. I got a tweet asking me not to use trending topics to promote my business. Is this a no-no in social media etiquette? Copyright 2016. The Write Assistant LLC. All Rights Reserved.